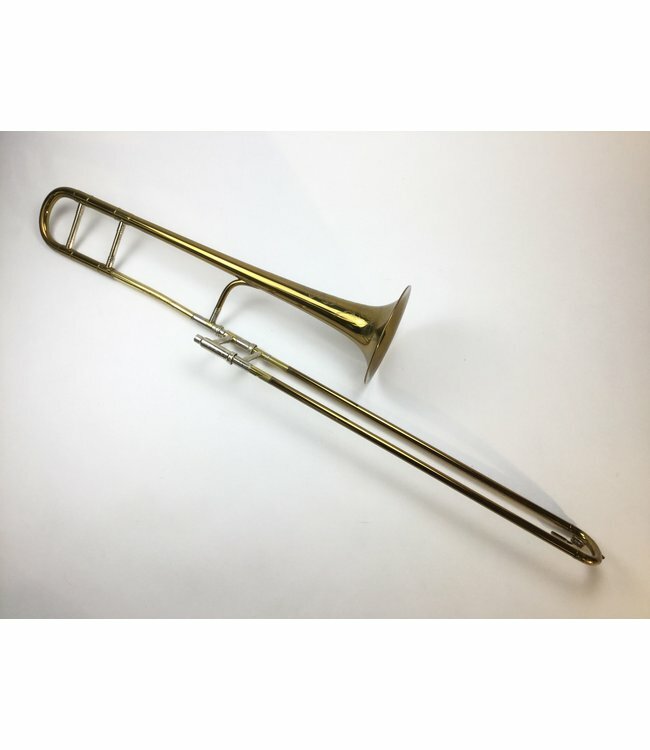 Used Selmer 23 “Special” Professional Bb Tenor Trombone in lacquer. .490” bore handslide, 7.5” bell flare. Instrument is in good condition apart from minor lacquer wear throughout, minor dings in bell flare, and evidence of previous handslide work around right hand grip, due to lacquer wear. Comes with Selmer case.